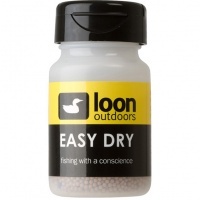 Loon Easy Dry is fantastic treatment to revive dry flies composed of two things: drying beads and blue indicator crystals. A fly (still attached to the leader) is dry after a few quick shakes and ready for floatant. 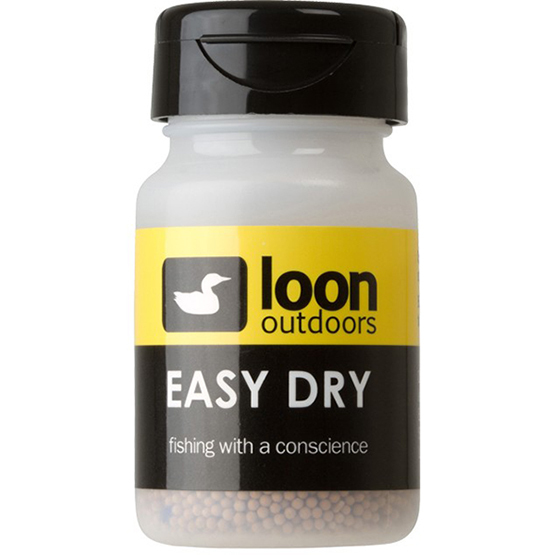 The blue indicator beads turn pink when the drying beads have become saturated and it is time to get a new bottle of Easy Dry.